Melania Trump doesn’t stop pleasing her fans. 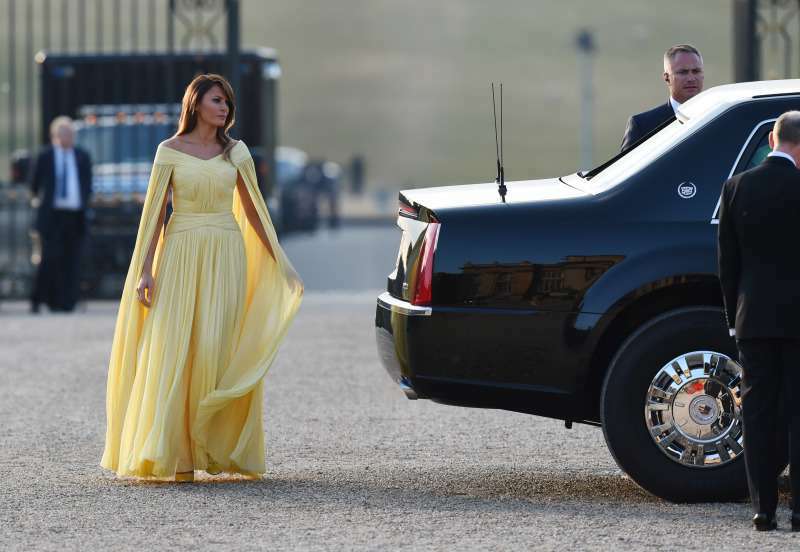 This time, the First Lady of the US decided to refuse from her luxurious outfits and showed she could appear even with the casual clothes. This time, the former model chose the dress of the very democratic brand Polo Ralph Lauren with a price tag of only $200. Moreover, this is already a retailing price; it cost twice as expensive before. The dark blue striped shirt dress with the belt looked great on Melania Trump when she and her husband showed up at the airport in Maryland. The playful wind circled around the couple on the runway, waving the floors of the elegant dress with the deep cuts on the sides and revealing the long, slender legs of the former model. Luckily, everything was within acceptable limits! 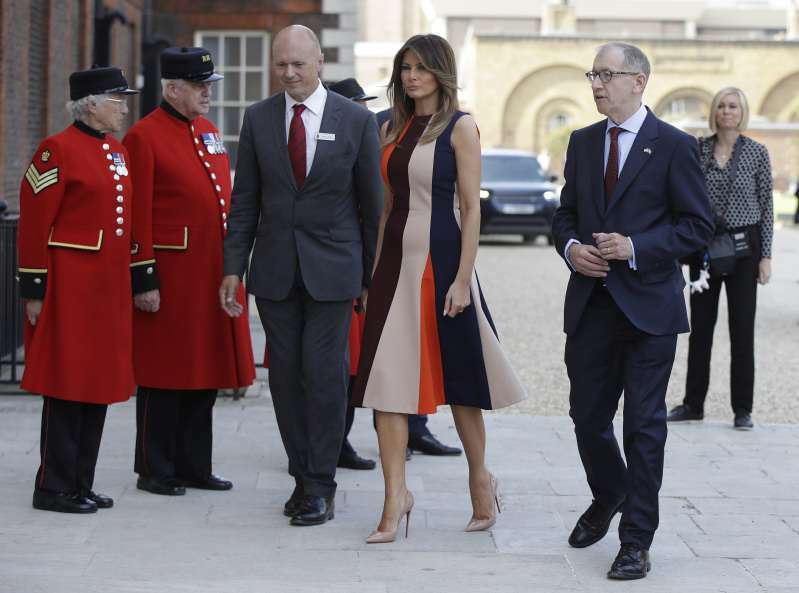 Neither the wind nor the omnipresent paparazzi left Melania Trump embarrassed: she continued catwalking through the airport in her high heels like she used to do on the podium. Classic blue court shoes by Manolo Blahnik with the price of about $700 were also worth it as every self-respected woman should be beautiful, confident, and feel comfortable. 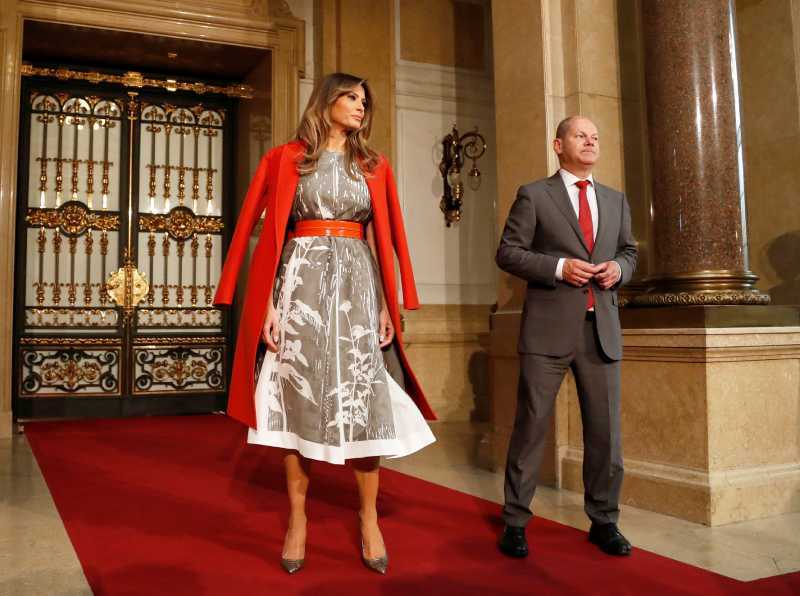 Well, Melania always looks like that. Would you like to add something to the new image of Melania Trump? Share your suggestions in the comments.